Hey, have you tried shopping from Aliexpress? 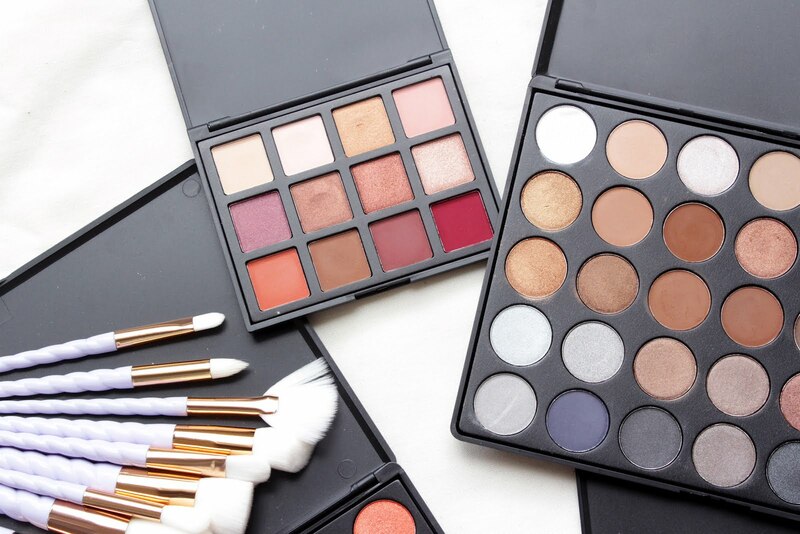 Ever tried browsing for makeup? I did, even though I know it's not safe to buy makeup from China. I still tried. Goodness Me! They're really cheap! I can't help it. Lol. I did skip the lipsticks or any cosmetics that are in cream form since I think these types are more hazardous. 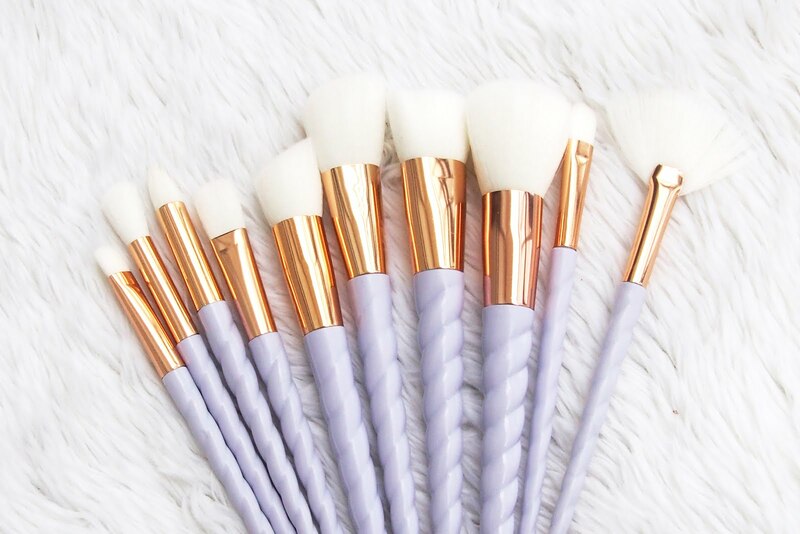 For the brushes, I think it's not that bad to buy the dupes, you know, they're brushes and really, these brushes that I bought got me #shookt. Keep browsing, loves! 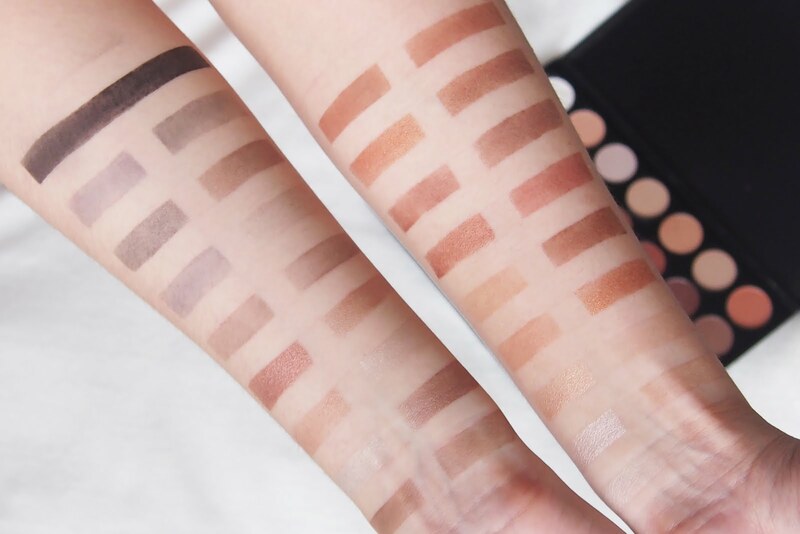 I've got some swatches. 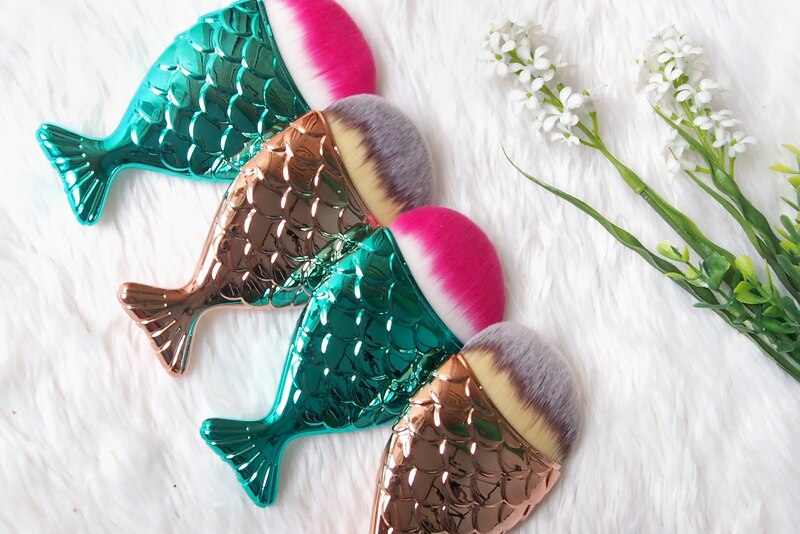 I ordered Eyeshadow Palettes, Contour & Blush Palettes, Unicorn Makeup Brushes and Mermaid Fishtail Makeup Brushes. Starting off with this 35 earth toned colors. 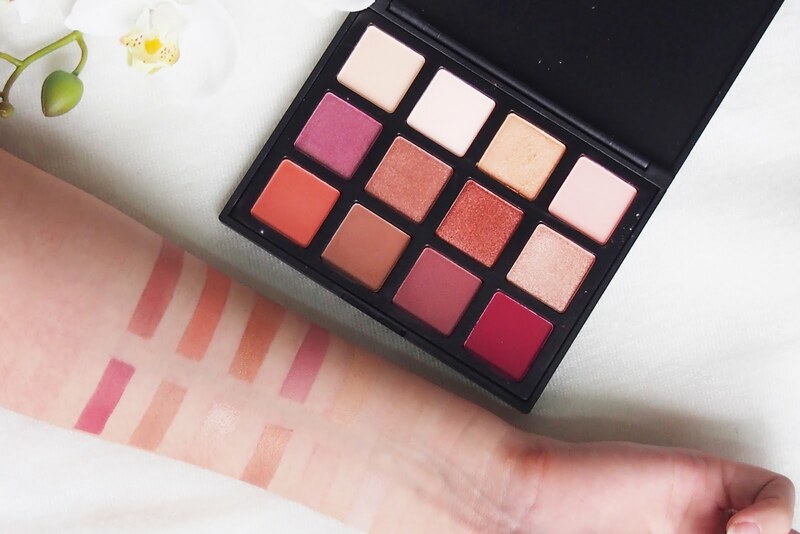 The eyeshadows in this palette are okay to me, the shades are not the best and not all shadows are pigmented. I did around 2-3 swipes for the swatches in the photo. Honestly, the light tones is disappointing (couldn't bring out the color no matter how many times I'd swipe the shadow). Nevertheless, for $8.96 I can't really complain. Next is another 35 colors eyeshadow, this one is shimmery with red and orange tones. Same as the palette earlier, the light tones are meh but compared to the palette earlier, this has a lot more pigmented shadows. Although, there's also some shadows that are just the same color. Bought this palette for $9.40. 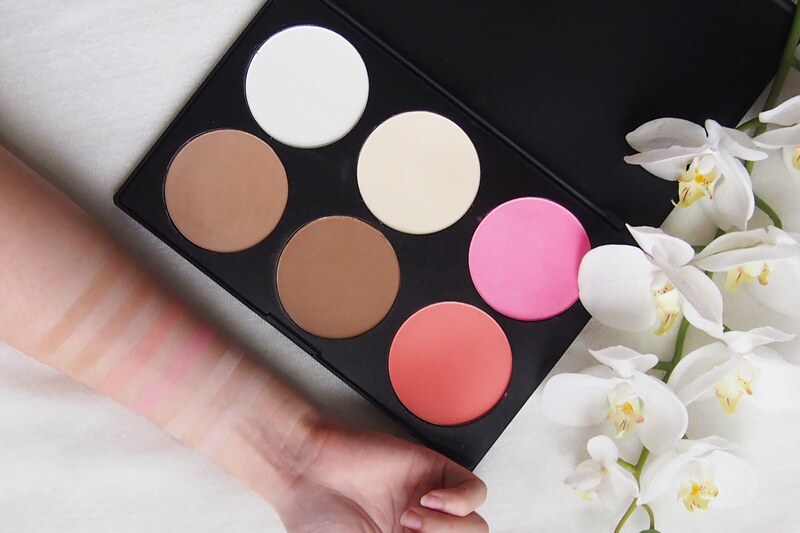 Now, this 12 color eyeshadow palette. It has the least colors but this one is the best so far. I like the pigment and shades in this palette compared to both the ones earlier. The lighter shades are still not as pigmented but I'm happy with all the colors below the first row, bought it for $4.61. 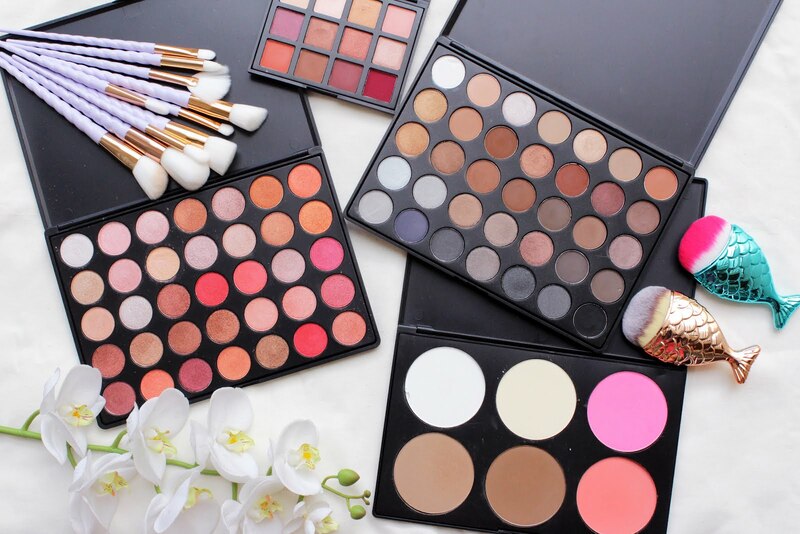 Btw, notice all three palettes looking similar to the Morphe palettes? I don't really want to talk about this last palette anymore, in fact, don't think it's worth sharing at all. Hahaha. I'm going too far. I thought it was good at first, when I applied it on my face (you can check the video below) it may not have that much pigment but it gave me the contour that was more than what I expected BUT like the color doesn't stay or I think it melts easily on my oily skin. It faded for some reason and it was really disappointing. 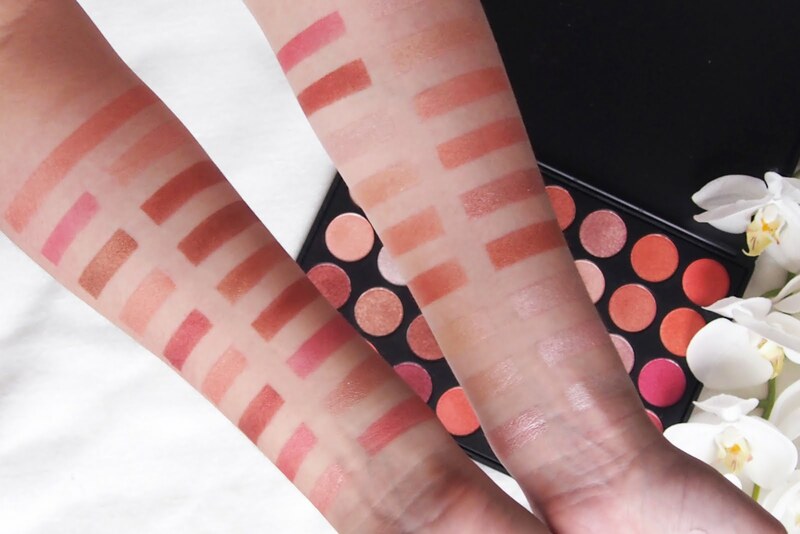 Same goes with the blush and as you can see from the swatches, they're not very pigment. The first two colors are trash imho. Huhu. Btw, bought the palette for $7.61. Like I've said these brushes! I just love them. Both brushes had soft bristles. The unicorn brush set picks up product really well. I haven't really tried out the fishtail brushes yet, I haven't seen it's full potential. If you're wondering why I bought 4 pcs, it's because one is not enough. Just kidding, I actually planned to sell them but I'll probably just do a giveaway. Bought the mermaid brushes set for $6.94 and the fishtail brushes for $2.18 each. This is actually ironic, but I do not recommend and promote makeup products from Aliexpress, I'm just sharing my own personal experience. You are at your own discretion. That's it for the post. Watch my Aliexpress unboxing & product test video!